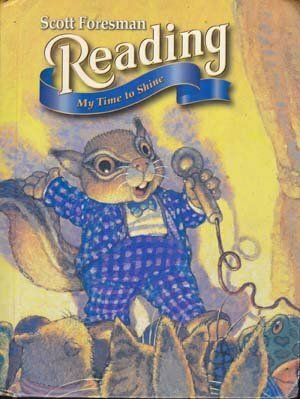 Scott Foresman reading: My Time To Shine (Reading Textbook, Grades 2-4) ISBN 0673596427, Addison Wesley Educational Publishers, 461 pages hardback no dust jacket, corners bumped. Has School stamp and some names written inside. Great for home schools and tutors in reading for young children.